Are you getting the financial insight you need for growth? Most business owners I come across have developed systems to control their finance – invoicing, payments and payroll. The emphasis here is on control, and in doing so misses the bigger opportunity for financial information and analysis to aid decision-making. Financial management information is more than the ‘management accounts’, it’s the deeper analysis that spots trends, identifies problems, helps to discover solutions and forecasts different outcomes. Management information does not require a Management Information System (MIS), or a great deal of expense. It requires a rigorous approach to business data collection and modelling, together with the application of a few useful business benchmarks, indicators and tools. 1. Do you know: your defence interval? 2. Do you know: where you’re making the most money? 3. Do you know: the % contribution by customer? 4. Do you know: your average payment terms? 5. Do you know: if you’re paying suppliers faster than customers pay you? 6. Do you know: how you would get more money if you needed it? 7. Do you know: if technology is a help or a hindrance to your business process? If you are unable to answer the ‘Do you know?’ questions, then it could be time to overhaul your financial management information to open the way for clearer insight and better informed business decisions. Excel is a great tool, it really is. As someone who spends half their life staring at spreadsheets, I wouldn’t be without it. BUT, and there is a ‘but’, I believe that spreadsheets need to come with a business health warning that says: beware of spreadsheet creep! How long has it been in existence? You may be surprised by the answer to this question, I’ve come across spreadsheets that have been evolving for over 10 years. Does the spreadsheet still reflect how my company operates, or have I made my company ‘fit’ the spreadsheet model? How many people have modified the spreadsheet model since it was first set up and are they still with the company? How much time is being spent updating and number crunching? Is it transparent, or does it include historical formulas that no-one quite understands? How big and how complicated is it? Could you explain the entire spreadsheet to your accountant if you needed to? Would you stake your business on the accuracy of the data? Because here’s the bottom line: if your spreadsheet-based management information system isn’t fit for purpose, it could be driving poor decision making that’s detrimental to business growth and profitability. If your business is afflicted by spreadsheet creep, please stop, seek professional advice and ensure that you get the management information you need for a robust business. Change is an inevitability, and therefore it is crucial that we are prepared for change as and when it happens. 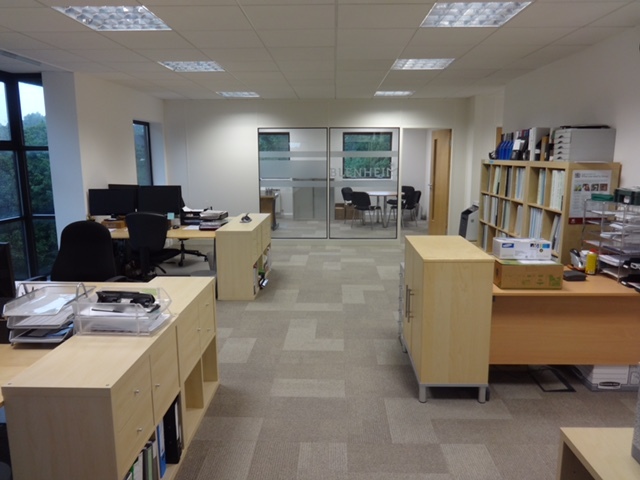 At Blenheim accountants it became increasingly clear that to handle change we needed a new office. We are an expanding business with new clients and more staff members, and unfortunately our offices were not expanding at the same rate. Our current office. A large amount of space that allows us to all work in the same environment without getting in each others way. Telecoms: proved to be the most problematic, moving in on the 23rd of May our telecoms wasn’t up and running until 10 days subsequent to the move. Time: It takes longer than you think! I had to postpone a holiday in order to make sure I was available, so make sure you grantyourself a generous amount of time to complete the moving process. where you are and how they can find you. A comfy accommodating corner for clients to wait. Address: following on from the previous point finding out the address of your new building is easier said than done. We found that our new offices had been renamed, but this name was yet to feature on the side of our building. Then there’s the problem of door codes, gate codes and who to go to if there is a problem. Plan: plan, plan and plan again. Trust me when I say that you can never be too prepared. Having every last facet of your move thought out will be hugely beneficial to the process. Read: I understand that reading through old and new leases isn’t the most exciting of jobs, but it is definitely worth it. For example our old lease required us to redecorate which included re-carpeting. Use local small businesses- we were disappointed with a particular large telephone broadband provider, as they simply didn’t seem to care about their level of service. We worked with small local companies including Cannard Computing (http://cannard.co.uk) and environments 4 business (http://www.eforb.co.uk), and I honestly cannot recommend them highly enough. Funding: moving can create all sorts of hidden costs such as new furniture and rent deposits. It is crucial that you understand your costs, and have the necessary funding to cover them. Team: I cannot thank my team enough for all the help and support they offered throughout the entirety of the move. Having a strong team behind you takes away some of the stress that accompanies a complex move. Finally the most important thing to remember is why you’re doing it. It will be worth it in the long term. Moving is exciting, enjoy it! Our new boardroom! Perfect for meetings both within our own business, and with clients. Now that we’re really coming out of recession, many business owners are looking for business finance to either turn an amazing idea into reality, or to grow the amazing idea more quickly. Raising finance can be tricky, bank lending remains in the doldrums despite Government promises. However, the business owners I’ve met love a challenge and there are plenty of opportunities out there to raise much needed support to grow your business if you want it. The path you take ‘just depends: it depends on how much you want; how much you can afford; how much control and independence you want to retain in your business and how long you’ve got. Here’s an ‘at a glance’ picture I paint when I’m first talking to clients about finance options – start at the top for most control and independence, start at the bottom for higher amounts of finance and less personal liability. 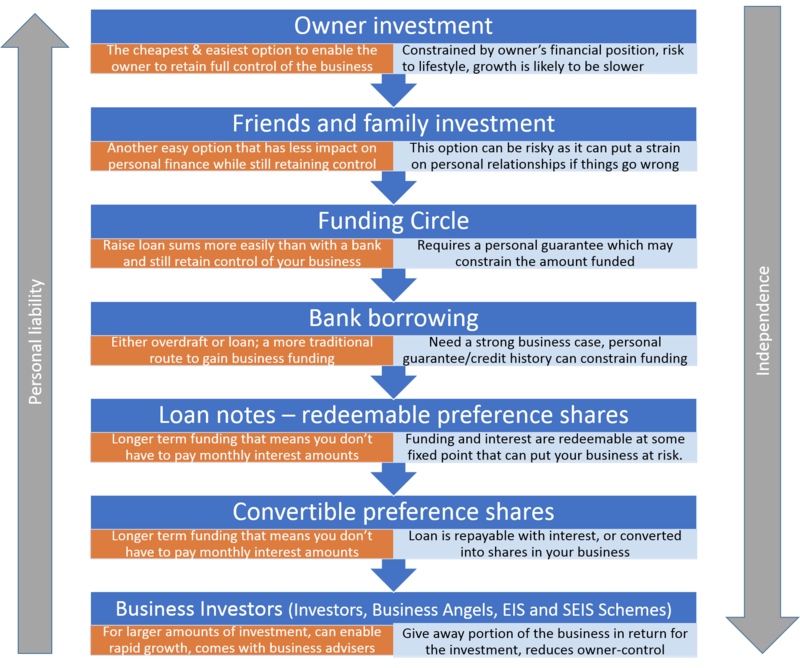 The business finance landscape is continually changing and researching funding options can be complex and time consuming. Professional advice can save you time and lead you to the best solution for you and your business – we’re here to help so why not give us a call. Christmas! Phew! There’s not one business leader I know that isn’t ready for a break. 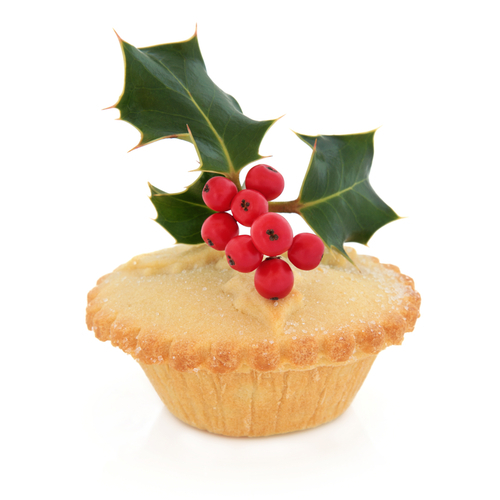 But as you kick-back with your mince pie and coffee (or something stronger), it’s a good time to reflect on all your business has accomplished in 2014 while setting goals for 2015. Here are a few considerations I’d like to throw into the mix. Take a detailed look at your client portfolio and the % of business each contributes to your overall revenue. Is it balanced? Ideally your biggest client should be no more than 15% of your turnover. Are you really making money from each client or are they pushing you to over-service such that it’s diluting your profitability? Perhaps 2015 is the time to refocus and make some changes. Christmas is often a time that highlights particular problems with clients who don’t pay on time. The impact on cashflow is exaggerated because businesses often have to pay their staff a little earlier in December. The perfect storm! Why not tackle credit terms and bring down the average time to payment in 2015 and see what a difference that makes to your business finance. It’s likely that your staff will take time to reflect over Christmas too, it’s often a time when people think about changing jobs. If there are key staff members you want to retain then utilise the wide range of compensation tools at your disposal, it doesn’t have to be a salary increase. It’s probably also worth mentioning here that, if you’re not already on top of it, you should also be preparing for the new pension legislation and the auto-enrolment of staff through 2015 (see previous blog post). When was the last time you reviewed your pricing policies, systems and proposals? By systemising your pricing you can gain consistency and efficiency while also reducing risk to profitability. Are all your products and services profitable? If not, then why? Act now to either make the changes necessary or remove the product/service from your portfolio. The Blenheim business health-check covers all these aspects and more. Get in touch if we can help your business to a prosperous 2015. 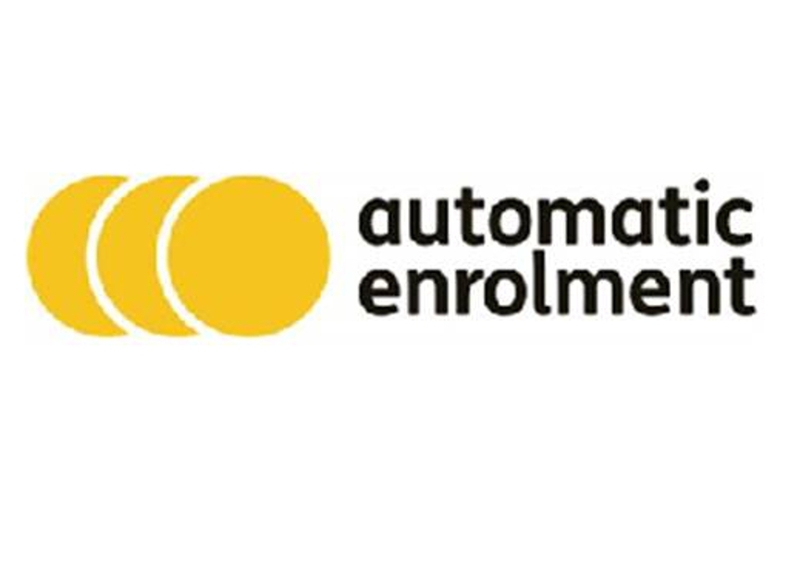 Automatic-enrolment of pensions – do I have to? It’s great that our generation stands a good chance of living until we’re 80, 90 or even 100 years old. It’s wonderful that we’re getting closer to cures for cancer, that we are fitter, healthier and stronger than our forebears. However, longevity comes at a cost. How can the treasury afford to support us all in our retirement when, at any one time, approximately half the population isn’t actually working or paying any income tax? The answer is – it can’t. It’s a frightening fact that 53% of the UK workforce today has no other pension provision than the state pension. If we’re to avoid extreme pressure on the UK economy, or extreme poverty for pensioners, action needs to be taken to encourage workers to engage in retirement planning from an early age. In other words, almost all businesses (with a very few exceptions) must have a workplace pension by the time their notified staging date comes round and before the law comes into force in 2017. The consequence of NOT doing this are immediate and heavy fines that can mount up to several £1000’s in less than a month. Blenheim Chartered Accountants and Business Advisers have been preparing for auto-enrolment since it was first announced. We’ve already met with the Pensions Regulator, the Minister for Pensions, the main pension providers and joined the Friends of Auto-Enrolment. We’re ready for it, and we’ve been running workshops for our clients to help them get ready for it too. Get in touch today to discuss the impact of auto-enrolment on your business. Accountants – ten a penny? I’m a pretty even-tempered sort of person really. Apart from the odd Bristol City game, one of the few things that really winds me up is the damage caused by rogue accountants or amateur bookkeepers. It’s a sad fact that unqualified people are able to practice as accountants; unfortunately the accounting profession isn’t protected in the same way as say, the legal profession. As a result, over the years the Blenheim team has been brought in to pick up the pieces of several businesses left high-and-dry by poor accounting practices on behalf of clients who are unable to gain compensation. Appointing the right accountant for your business, be it a start-up or a mature family run enterprise, can make all the difference between growth and stagnation, profit or loss, compliance and risk. Good accountants exist to provide you with the financial guidance to support your business goals, combined with the procedures and practices that allow you to sleep at night. Moreover, qualified, knowledgeable and experienced accountants will act on your behalf and get the job done more thoroughly and more efficiently, so that in the end you save time and money. But how do you know you’ve got the right accountant for your business? First and foremost, find someone you can respect and trust. Your accountant is a key member of business leadership, their advice should count. Take time to meet them face-to-face and interview them as you would any other member of your management team. It takes years to become a qualified accountant, and there’s a reason for that. Just because someone’s good at maths doesn’t make them a good accountant; while a mathematical brain is certainly an asset, so is a deep understanding of UK accounting, tax, personal and company law, analytical skills, the ability to look at a balance sheet and immediately spot an error or a trend. You wouldn’t allow a dentist to give you a heart-transplant, so don’t allow a mathematician loose on your accounts. There are 3 professional accounting bodies – the two main ones are the Institute of Chartered Accountants (ICAEW), and the Association of Chartered Certified Accountants (ACCA) and if your accountant is a member of either of them, you’re protected. As a Chartered Accountancy Practice, Blenheim pays to belong to the ICAEW and agrees to operate under a certain moral and ethical code that ensures that your business is overseen by only qualified professionals, covered by professional indemnity insurance, with continuous professional development in place to keep them up to date. Moreover, we’re regularly and independently inspected to ensure we comply. If an accountancy firm doesn’t subject itself to this level of rigour, you have to question ‘why-not’? 4. Have they had experience with similar businesses to yours? Now, I’m not talking about necessarily experience in the same sector of business here. What I mean is, have they got examples of clients that they’re working with who are of a similar size and set up, have similar goals or challenges. What have they done for these clients? Are you able to get references, are there case studies readily available, or better still, are you able to talk to these clients? 5. Consider the X-Factor – no, not the Simon Cowell one! It’s hard to define, but you know you’ve got the right accountant if you can come away feeling more positive, more energised, more focussed. You’ve got the x-factor if you can find an accountant who ‘gets’ your business and is almost as enthusiastic about it as you are, even more so if they’re aligned to your world view on business investment, growth, staffing, supplier management and customer care. 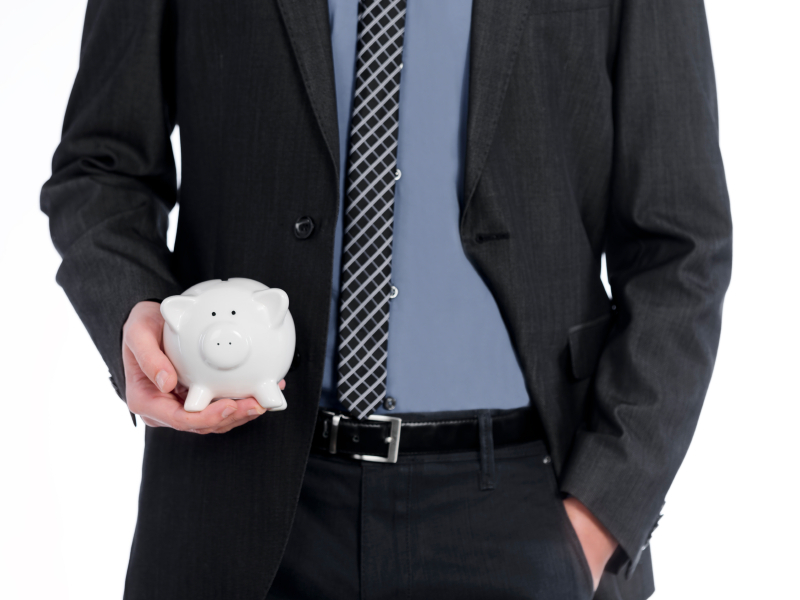 Finding an accountant that fits your business makes a huge difference to business success. No, we’re not ten-a-penny, but neither are good accountants so very difficult to find – take your time, choose a professional, appoint with confidence.